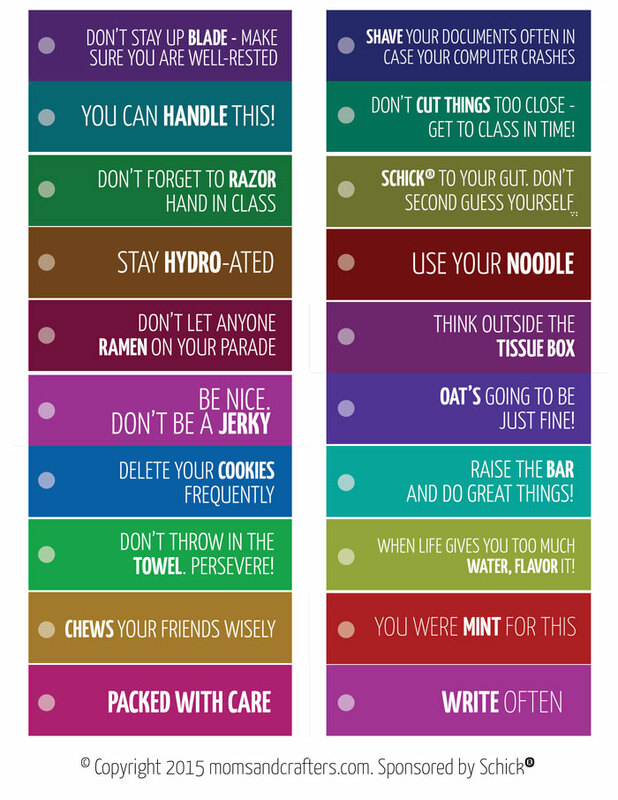 College can be full of pressure, and sending a humorous care package can help lighten the mood! 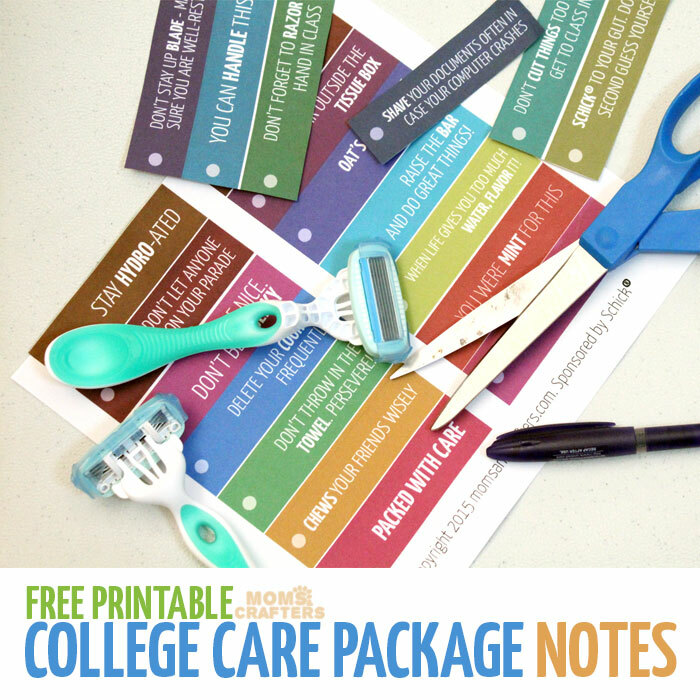 I designed for you some free printable college care package notes, to match with the products you might choose to put in. A huge thank you to my friend Alyssa over at Arts and Crackers who contributed her punny sense of humor for this post. Some essentials, a few snacks, a little motivation and a lot of humor is the key to a perfect college care package. 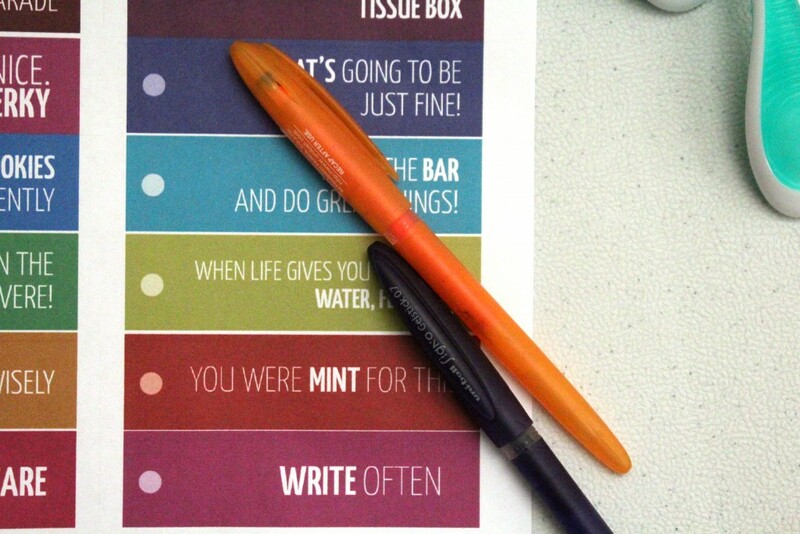 Throw in the things that college students need most. Advice doesn’t always have to be relevant (“don’t forget to razor your hand in class!’), but should always be punny, to take the pressure off. Schick Disposable Razors were a top pick for me. Feeling clean, hygienic, and put-together is important for anyone, especially a college student who sometimes needs to over-perform. Schick disposable razors’ high quality and clean cut has helped me get a confident start when stepping out of my comfort zone. 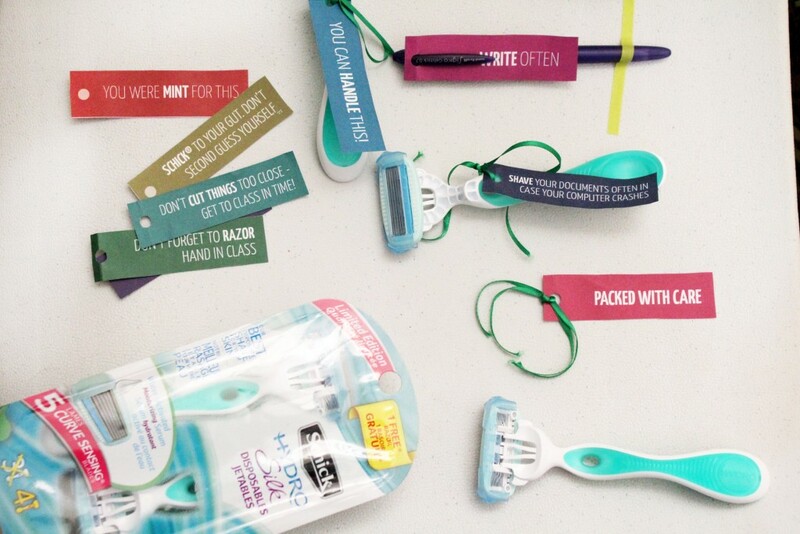 Send over some essentials, and some treats to make a college student’s day! Ramen packets – “Don’t let anyone ramen on your parade”. Tissues – “Think outside the tissue box”. Cut out the notes. Depending on what you’re packaging, tape some on using washi tape (snip off the area with the hole), or punch a hole and tie it on with ribbon. 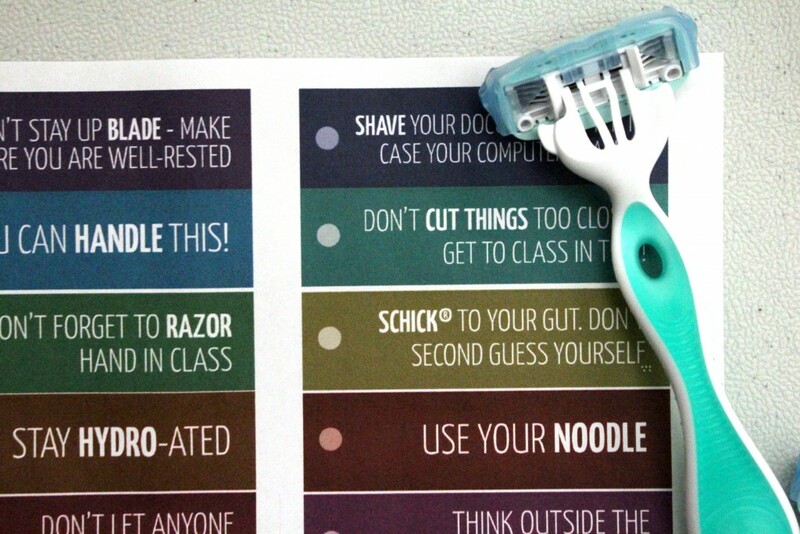 For the Schick disposable razors, you can do either. You an separate the (highly advisable if you are shipping it) and tie it onto the hole. I prefer it that way. Otherwise, you can tape it onto the closed package. Want to make a college experience ever better?Encourage your college-bound loved one to enter the Schick Selfie Sweeps to win cash toward tuition, or other prizes! ENTER HERE. 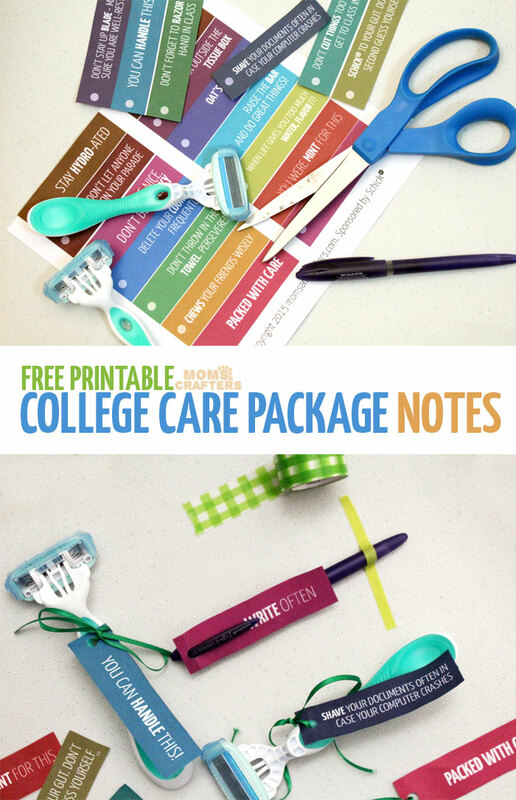 Make a humorous college care package to motivate, provide essentials and make them laugh. 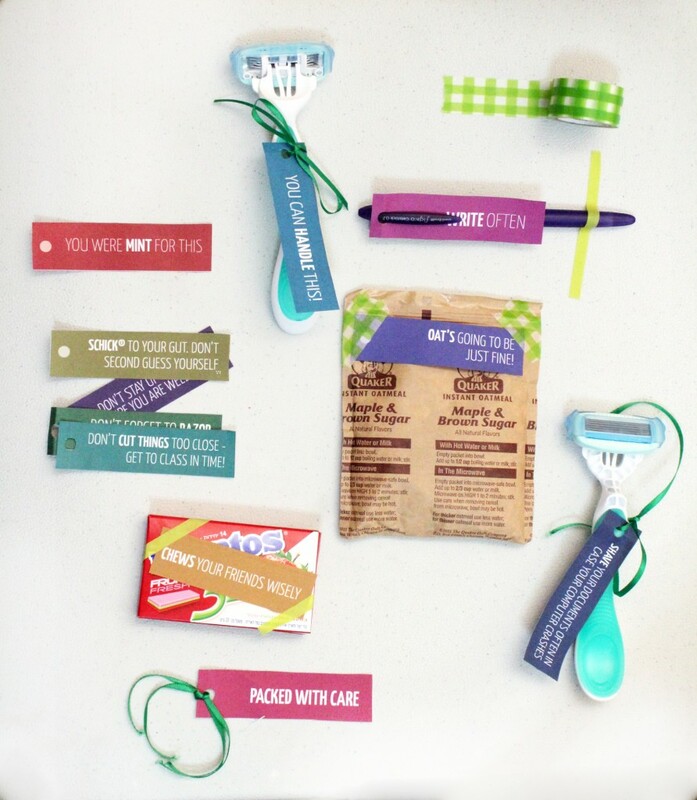 Include your favorite Schick disposable razors, and tie on some punny jokes to make a college student’s day. 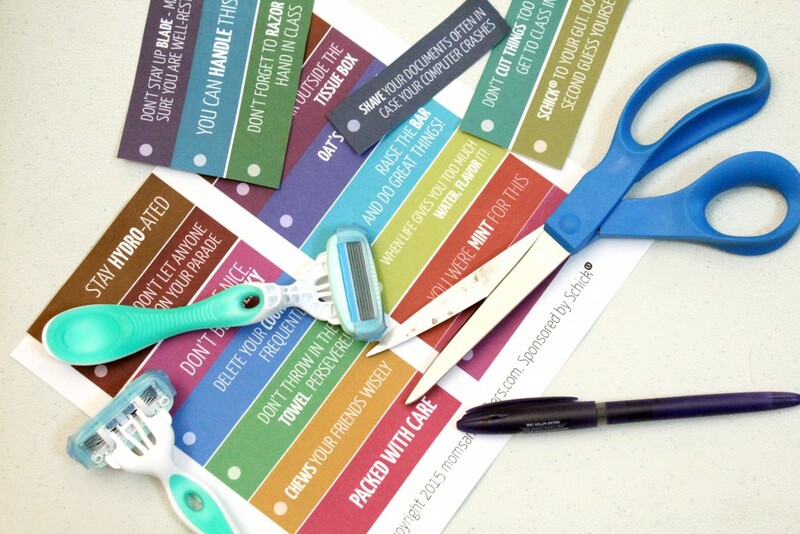 Free Printables, More printables, sponsored. Bookmark.